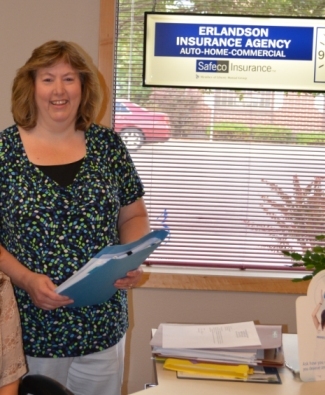 Anna Erlandson, the owner and founder of Erlandson Insurance Agency in Libby, Montana, has been hard at work within the insurance industry for well over 30 strong years. Erlandson Insurance Agency was established in 2005 by Anna and her husband Joel, and has grown significantly thanks to their hard work and dedication. As Joel continued his lifelong career as Payne Machinery’s shop foreman and hydraulic specialist, Anna actively pursued a career in insurance, recognizing that the success of her business is based on her commitment to provide quality coverage with personalized service and unwavering integrity. Anna, knowing there is a need to help educate our community on the different types and levels of insurance available, continues to offer a tremendous amount of knowledge through the use of innovation, technology, and creativity. As her client, you can be rest assured that she will be determined to provide the lowest possible rates, broadest coverage, and best possible service for you, your family, or your business. Being an independent agent in an otherwise corporate empowered industry, Anna became affiliated with several independent insurance agency alliances. The opportunities presented by being a trusted choice agent of the Independent Insurance Agents & Brokers of America (IIABA), a member of the Montana Agency Alliance (MAA), and a member of the Strategic Insurance Agency Alliance (SIAA), has given Erlandson Insurance Agency the ability to flourish and thrive in the insurance field. Tyler Erlandson, a 2012 Libby High School graduate, gained the knowledge and experience necessary to start a career in the automotive repair industry followed by general maintenance and repair positions in many different settings as well. 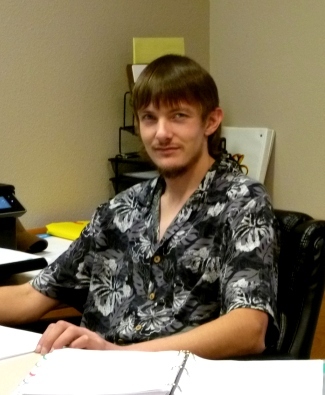 After six years, Tyler’s enthusiasm as a technician had worn thin, prompting him to join forces with his mother at Erlandson Insurance Agency. Tyler’s acquired skills as a capable auto technician will not be put to rest in his newly chosen career path. His ability to analyze, troubleshoot, and make repairs will certainly translate well in an office environment. Like many young men of his generation, Tyler developed a keen interest in computing and technology which gave him enough exposure and hands-on experience that he will be able to easily apply in any field of work, including the insurance industry. As Erlandson Insurance Agency has taken on a new front as a family business, Anna and Tyler understand they are in this together and are working toward a common goal. This nurturing, relaxed environment will be evident as they treat each and every client with care and compassion, providing service beyond expectations.